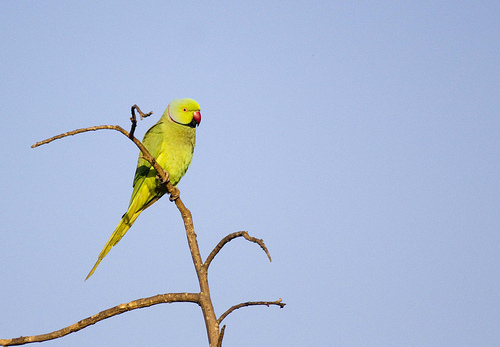 The Rose-ringed Parakeet is making steady progress in western European cities. Captured birds managed to escape and were able to survive if fed by humans. In the past years they learned how to survive the winters. 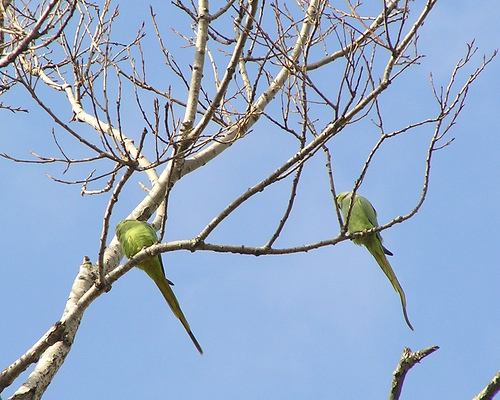 It now seems that western Europe can boast of its first parrot species.